A quick stop by former New York City Mayor Michael Bloomberg on Saturday in the state that holds the first primary in the race for the White House is sparking more speculation about a possible White House bid by the billionaire media company founder and gun safety advocate. Bloomberg was the main attraction at the get-out-the-vote rally for six candidates running for New Hampshire's state House of Representatives. The event was organized by Moms Demand Action, an arm of Bloomberg's Everytown for Gun Safety organization set up after the 2012 Sandy Hook Elementary School shootings. Bloomberg's trip came just days after he re-registered as a Democrat after years as a Republican and an independent. Asked by The Associated Press if he has any timetable for deciding on a presidential bid, he said "right now I'm focused on November 6, plain and simple." 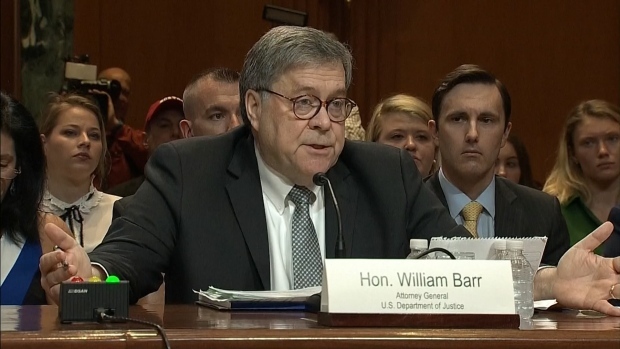 But he added that after the midterm elections, "we'll see what happens down the road." Speaking in front of dozens of Moms Demand Action activists, many of them wearing the group's red T-shirts, Bloomberg told the crowd "together, Moms Demand and Everytown have landed some big punches against the NRA. We haven't knocked them out yet, not by a longshot, but we've got them on the ropes. And while we're getting stronger and stronger every day, they're getting weaker." He also thanked gun safety activists in New Hampshire for helping to defeat earlier this year in the Statehouse "two bad bills that would have forced colleges to allow guns on campus and punish cities and towns for enacting strong guns laws. You did that. You did stop them." Bloomberg, who's spent millions of his own money this year to help elect Democrats in the midterms, said "we've got to send a message to elected officials. Vote for commonsense gun laws or we will throw you out." Prior to the event at Nashua City Hall, Bloomberg met with the city's longtime major, Jim Donchess, who's a member of Bloomberg's Mayors Against Illegal Guns group. He also met with Manchester Mayor Joyce Craig, a supporter of tighter gun restrictions, and the six state legislative candidates who were endorsed by Moms Demand Action. While November's election and the issue of guns were the focus of Bloomberg's visit to the Granite State, the trip fueled speculation that the 76-year-old former three-term New York City mayor is serious about a 2020 presidential run. 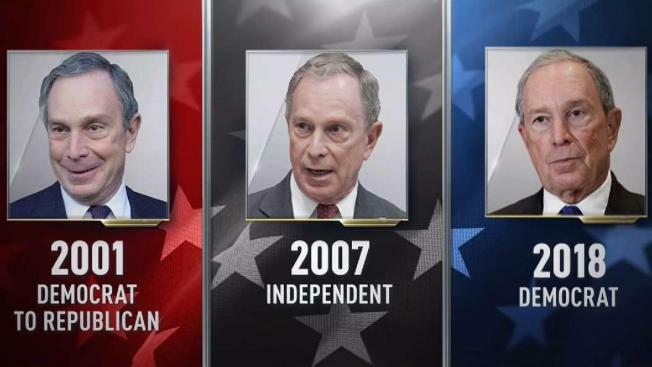 Bloomberg mulled, but decided against White House runs in 2008 and 2016. Asked if the party he left nearly two decades ago has become increasingly liberal, he said "I don't know that it's moved further left. I think that's conventional wisdom by some people." Instead, Bloomberg argued that "there are an awful lot of other people who say if you talk to Democrats, they're much more centrist than people understand."